Bruce Jenner, 1976 Olympic gold medalist, is most famous for being the second husband of Kris Jenner, matriarch of the Kardashian family who controls the family business. He was was playing more of a supporting role in the reality TV show Keeping Up with the Kardashians. Always in background, he never seemed to fit in and we couldn’t hear much from him, amongst all these women seeking fame and glory, ready to do anything to maintain their reputation. It was about time for Bruce Jenner to liberate himself from the shackles of this family. Separated from the mother of his children, he then revealed in an April interview to Diane Sawyer on ABC that he saw himself as a woman and that he was in the middle of the process of transforming into Caitlyn Jenner before the world at large. Vanity Fair devoted its cover and a long article to her, in which we learnt that Bruce Jenner had already embarked upon this transition in the 80’s, without seeing it through however. Caitlyn Jenner always lived in Bruce’s shadow and it was just a question of time before she came out on ABC in front of an audience of 17 million. Since then Caitlyn Jenner has moved over to channel E!. To mark her move, the channel produced an 8 episodes documentary series that brought in the third-largest audience of the channel’s history (2.7 million curious viewers for I Am Cait, right behind Live from the Red Carpet on the evening of the Oscars ceremony and the special episode “About Bruce” from Keeping Up with the Kardashians). By agreeing to appear on E!, the Kardashian channel, we could ask ourselves whether Caitlyn Jenner relapsed from a symbol to just another reality-TV craze ? The first episode of this documentary begins with Caitlyn meeting her mother and two sisters. Caitlyn was scared of being rejected while the others, not accustomed to media exposure, tried to control their emotions as much as possible. 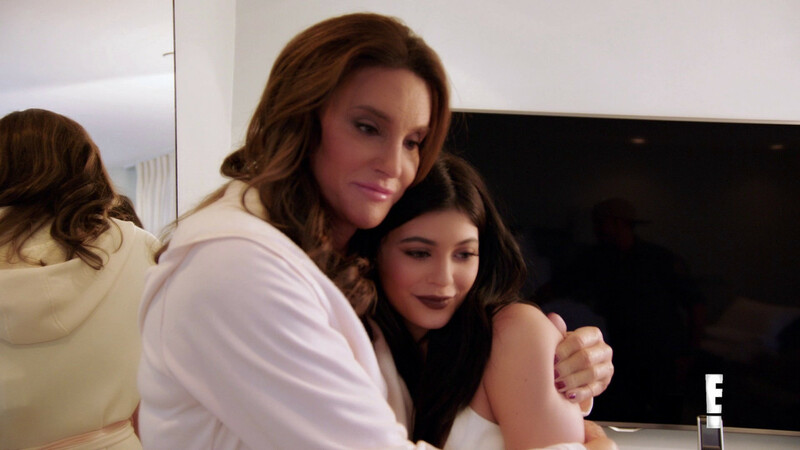 From the most intimate moments to their first tears, I Am Cait captures our deepest emotions. Upon the arrival of Kylie Jenner and the famous couple Kim Kardashian-Kanye West, the atmosphere changes and strangely becomes lighter, almost fake. The two sisters seem to overact in front of the cameras. The contrast is obvious between the Jenners and the Kardashians, the unaffectedness of the Jenners can’t compare with the superficiality and the media-savvy nature of the others. These guests, by being a bit too much on display, break the tone of the program, which until their arrival was veering on the side of emotion and then swept into sensationalism. Should we fear that the name “Kardashian” detracts the objective of the program? 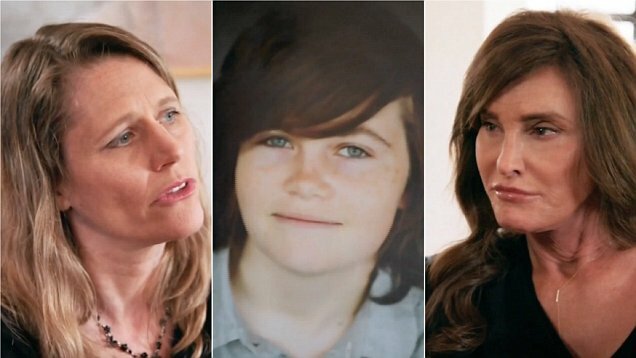 In the last part of the episode we see Caitlyn leave to meet up with a family grieving over the suicide of their child, who was transgender too. The support of his relatives wasn’t enough to save Kyle. Caitlyn Jenner wanted to share the pain of these people because she understands them and is well positioned to provide answers to their interrogations, as to what their son was going through. This outcome proves that Cailtyn Jenner’s goal is of course – on the one hand – to show us her new life and the impact of her choices on those close to her, but mainly to highlight the struggle that transgender people face every day to gain acceptance. We feared that E! would be producing yet another voyeurist reality-TV show. But, despite the forced and inevitable affiliation, I Am Cait is not a spin-off of Keeping Up with the Kardashians. The choice of the documentary format shows a willingness to part with the reputation of “reality-Tv made in E!”. The idea wasn’t to develop a Caitlyn Jenner brand, but to direct a documentary about a woman in the middle of a transition, wishing to be recognized for who she is, who also happens to be a public figure – and not the other way around. The notoriety that Caitlyn gained thanks to the success of Keeping Up with the Kardashians allows her to bring attention to the transgender cause. By not only focusing on herself (which could have been the case in typical reality-TV) she proves that her struggle is more global and that she hopes to be a spokesperson for all those who don’t have a voice. Nevertheless, to achieve this goal, it’s necessary that the next episodes maintain a fair balance between the public figure and the woman, so that her star persona doesn’t overcome her inviduality.